Let me tell you, organizing a podcast with four incredibly busy hosts that live in four different states is often crazy difficult; throw in some sickness a week after a major convention and you’ve got mission near-impossible. 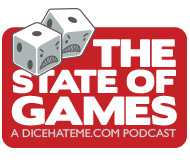 Still, with so much to talk about from the massive GenCon 2015, the show must go on. The Dice Hate Me Games/Greater Than Games Design Challenge! We’re looking for a few good games – and this is your chance to win big, and possibly have your game design published! Greater Than Games and Dice Hate Me Games would like to announce a new game design contest for 2015. Beginning on Tuesday, May 5, 2015, we will begin accepting submissions for game designs featuring a dexterity element. Submissions will be accepted through Monday, August 31, 2015. The winner of the contest will receive $250, a designer table at Unpub 6, and their design will be considered for publishing. The first runner-up will receive $100, and second and third runners-up each receive $75. 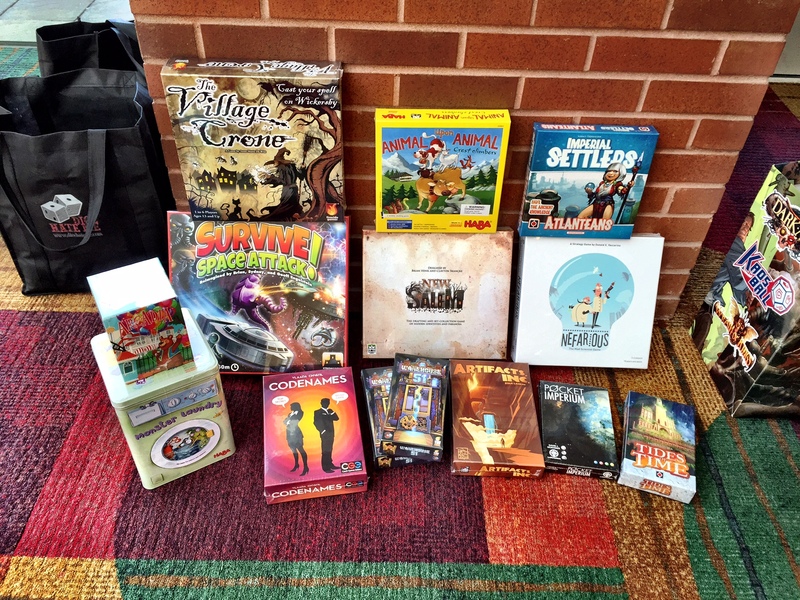 In addition to prize money, the Unpub 6 designer table, and consideration for publishing, design finalists’ entries will be featured prominently on greaterthangames.com, dicehatemegames.com, and on The State of Games podcast. In order to enter the contest, designers should submit sell sheets, full rules, component files, and, if available, any playtesting feedback, gameplay videos, and information on previous designs. The full submission guidelines can be found at greaterthangames.com/2015-dexterity-game-design-submission-guidelines. Entrants may submit their designs to craig@greaterthangames.com. Once the submission deadline has passed, our team will evaluate the designs and determine which entry will advance to the second stage. At that point, we will ask for a few entrants to send us a full physical prototype of their game. We will also require the designer to sign a non-compete agreement, as their game will have the possibility of being published by Greater Than Games. A dexterity game, in the context of this announcement, is defined as a game that requires the combination of physical ability and strategic thinking. A few notable examples of dexterity games are Jenga, Animal Upon Animal, Pitchcar, Ascending Empires, Cube Quest, and Terror in Meeple City. Obviously, this is a very broad description, and allows for wide interpretation by the designer. Designers are encouraged to be innovative and diverse in their submissions, and all themes will be considered equally.